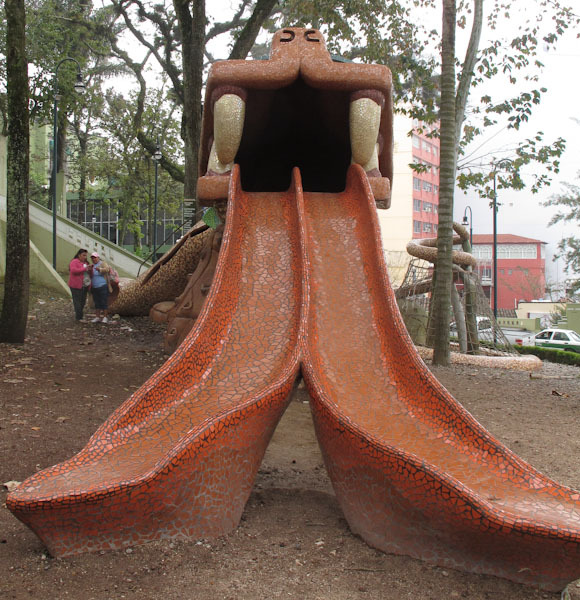 Kids choose which way to slide in Xalapa, Veracruz, Mexico! 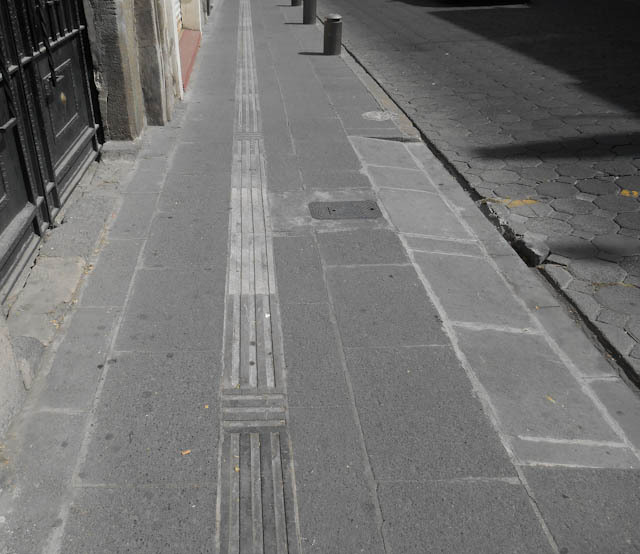 During a recent visit to Puebla, Mexico, we noticed these strips implanted in many of the center city sidewalks. Wondering about the purpose, we came up with possibilities, none of which remotely came close to the real one. Later we saw several visually impaired people walking along at a fairly fast clip, holding extra long canes with the points following one of the grooves. 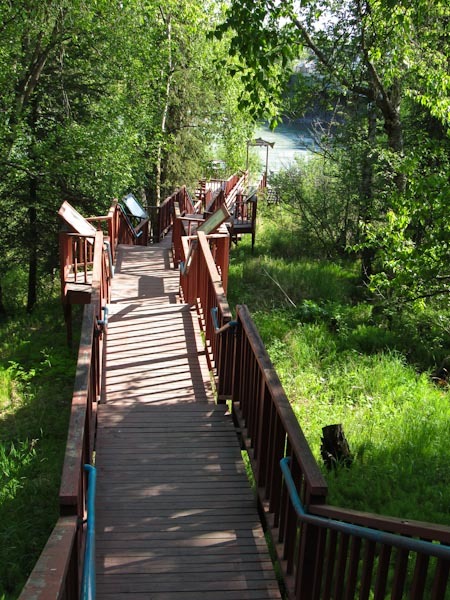 Notice the perpendicular grooves which alert a person to the presence of a driveway. Someone suggested that the strips were installed after laying cables in the sidewalks, so I don’t know if the use as a guide was original or secondary. But either way, it’s ingenious!